– The more you own, the more it owns YOU. – Can you say you’ve had a good life? 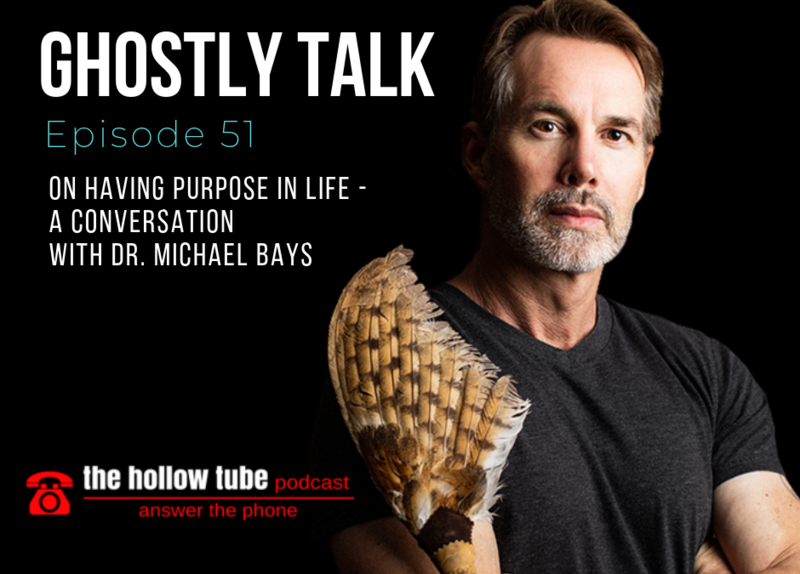 We talk about the importance of having a purpose in life and learn Dr. Michael Bay’s story that led him to change his stride and why he and his brother started The Hollow Tube Podcast. And of course, we get some “ghostly” talk in there as well. Dr. Michael is a Board Certified Ear, Nose and Throat specialist, integrative physician, speaker and educator to surgeons in training. He enjoys working with the brilliant young doctors he mentors and the veteran patients they treat. In addition to being trained in traditional western medicine and surgery, Michael is a graduate of the University of Arizona’s Fellowship in Integrative Medicine and spent over a decade studying shamanism and other indigenous healing modalities. As a husband, father of two boys and a grandfather, his passion is teaching young people through examples based on personal experience mixed with wit and wisdom gleaned from overcoming a lifetime of mistakes, facing his demons and achieving success and fulfillment.